Whether you are making up a stocking for a friend or a daughter you want to keep it pretty budget friendly because filling up a little red sock can become rather expensive so I have gathered a few of my top budget buys of 2014 that I think every beauty lover will adore. The False Lash Addict: We all love a good set of false lashes but sometimes if your a regularly wearer I can imagine it gets rather expensive. So good old Primark have these super cute set that are actually good quality. I mean for €1.50 you wouldn't expect much, but you would be surprised. 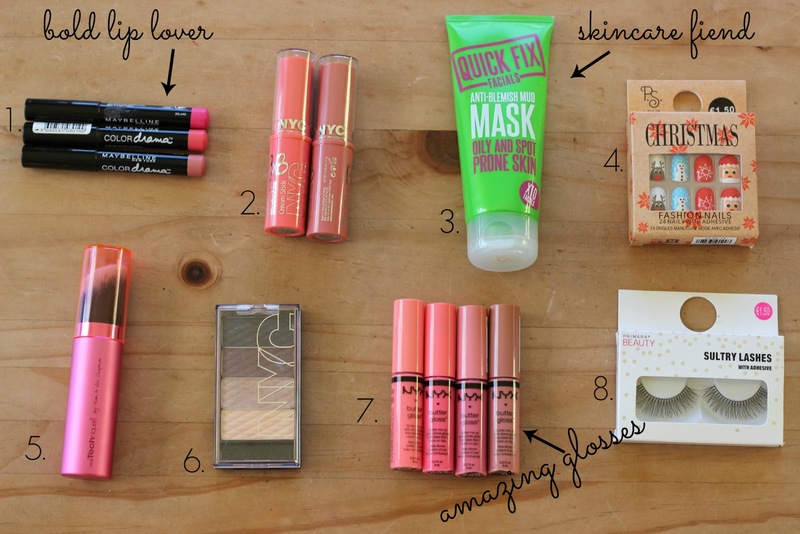 So there are my top picks for a beauty lover's stocking, anything here take your fancy?